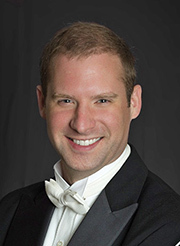 Steeped in a rich and unique tradition, The Boston Cecilia will continue to deliver concerts characterized by informed and expressive performances of the great works of the choral repertoire, while also emphasizing new works by living composers who contribute to the current musical conversation. In its 143rd season, and under the leadership of its new Music Director, Dr. George Case, The Boston Cecilia presents American music of the 20th and 21st centuries through concerts which pair such American composers as John Corigliano, Jeffrey Van, Jake Runestad, and William Schuman with British contemporaries who explore the themes that permeate American music. The texts illuminate the indomitable spirit, optimism and hope of the American tradition , and also an idealism shared by and joining the two histories. 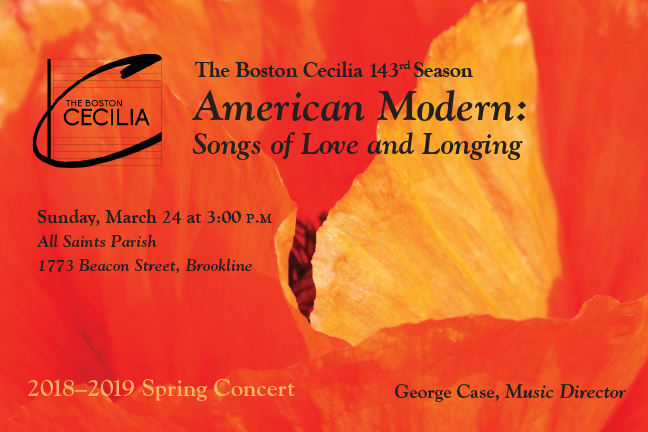 In the final concert of its 2018-2019 season, The Boston Cecilia presents American Modern: Songs of Love and Longing featuring acclaimed mezzo-soprano Margaret Lias and a seven-piece chamber orchestra to accompany the Cecilia chorus.